When I first heard about “The Zero Theorem” around the time when it played at last year’s Fantasia International Film Festival, I was very interested in the film. The fact that it had Christoph Waltz starring and the concept of this film made me interested in seeing this. The film follows a computer genius (Waltz) who is plagued with loneliness and despair. With no friends and living in a rundown church, he works on a special project that he is assigned to by management. His task is to find if there is a meaning to life. Soon, he becomes distracted with a hot woman (Melanie Theirry) whom he may be falling in love with and a teenager that impedes his work. This forces him to make a choice between his new personal life or finding out the meaning of life. Matt Damon, David Thewelis and Tilda Swinton also costars. Going into “The Zero Theorem”, I didn’t know what to expect with Terry Gilliam’s latest. Was it going to be a film that I was going to enjoy like “Brazil” and “Monty Python and the Holy Grail” or would it be something bad like “Twelve Monkeys” or “Fear and Loathing in Las Vegas”? “The Zero Theorem” would rank in between those films as this was a good film but not great. One of the things that makes this makes this good was the fact that Gilliam does a great job capturing everything onscreen. Whether it’s the way the futuristic world looks onscreen to some of the more complex scenes, everything did a good job grabbing up my attention that made me interested in this film. The other thing that makes Gilliam’s direction good was the way that acting was directed. I liked how the acting was very good. This film has a very complex screenplay but Gilliam does a very good making sure the characters are interesting through their performances enough to keep my interest. The film has a very good performance for Christoph Waltz. I liked how, he’s able to make the character fit the film’s tone in the way that he approaches his character. It made me interested in the film even when got dull a couple of times. The film also has a good supporting cast including Lucas Hedges, Melanie Thierry, David Thewells and Matt Damon in a small role. The screenplay written by Pat Rushin was okay as there were a couple of good things. First, I liked the way that Rushin focuses on his main character through the film. He does a good job making sure that the screenplay doesn’t go off track with various characters in various subplots. Instead, I liked how Rusin makes sure that he uses the secondary characters as part of making sure the main character is the main focus in the film. If this went to into various subplots with different characters, it would’ve been confusing to watch. Thankfully, it didn’t go that way. The other thing that I liked about this screenplay was the fact that it keeps its tone throughout. This film has a dark tone that helps make the film feels different and is able to keep my attention. If this didn’t have that type of tone, then the film’s story would’ve felt flat and boring. Thankfully, it wasn’t the case here. The only problem that I had with the screenplay was the fact that it goes all over the place with the way the story was executed. Maybe it was the fact that it felt too weird at a couple of points with its imagery. I don’t know if its part of the interior/exterior notes in the screenplay or this was a director’s call, but it doesn’t hurt the film that much to completely hate it. Overall, this was an improvement from the last Terry Gilliam’s “Twelve Monkeys” and “Fear and Loathing in Las Vegas”. 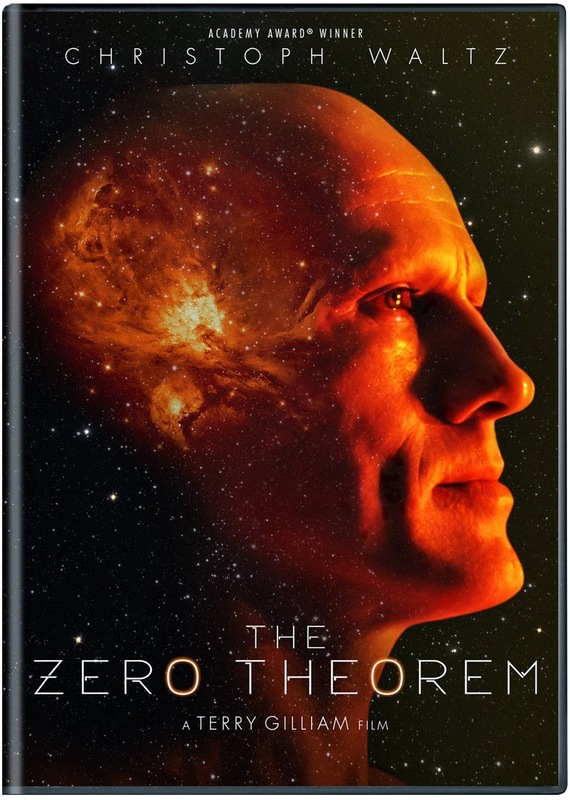 With its very good performance from Christoph Waltz and solid direction from Terry Gilliam, “The Zero Theorem” is an entertaining Sci-Fi drama.